A book that will have you gripped, but groaning in places. Graphic violence aplenty, but it’s done in the Scary Movie-style which makes it seem slightly more readable. In this near future we’re asked to imagine that an ex-reality star has become President of the US and that his attempt to sort crime is to link it to entertainment. Those found guilty of serious crimes are sent to Alcatraz 2.0 where criminals are killed off in grotesque and macabre ways by a team of executioners and their murders are televised for entertainment. When Dee is accused of murdering her step-sister (who was obsessed with the program) she is immediately thrown to the wolves. Yet, somehow, she survives and kills her supposed-to-be executioner. As a result she tops the list of inmates betted upon to be top of the kill list. However, Dee finds increasingly bizarre ways to survive. We quickly learn Dee has secrets, and it soon becomes clear that her current situation is linked to these secrets. The actual links weren’t immediately obvious. No real message here, but it was an interesting idea to see how the characters acted under pressure, and the style was likeable (even though the content was not). 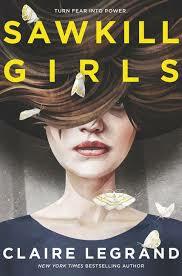 Sawkill Girls is something of a puzzling book. Touted as horror, when I got granted access to the opening chapters on NetGalley I was struck by what seemed to be a dark fairytale quality to the writing. Having just finished the book I am torn between being genuinely unnerved by the creature unleashed on Sawkill and fascinated by the tales told and the events depicted here. Marion and her family arrive on the island and strange things are immediately obvious. There’s a connection to Val Mortimer and her family, and girls are regularly disappearing from the town. Nobody is sure what’s happening but there’s a dark energy to the place, and lots of very unusual occurrences. The book was one that sucked me in. It had a few moments that got me uneasy, and the key relationship makes a lot more sense once we get to the end. 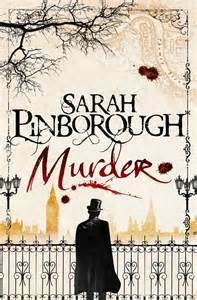 It’s a genuinely tricky book to pin down but it is definitely one to recommend. ‘Macbeth’ for so many contemporary readers is linked to painful study for English GCSE with heads hurting from trying to work out what is in front of you. Here, Talley takes the essence of the story but gives it a contemporary twist. Lily and Maria are students/roommates/lovers and our story begins with a ouija board experiment that immediately sets the scene for some dark and unsettling events. 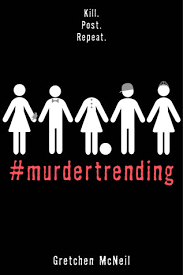 Plotting to bring about the downfall of the main competitor for a scholarship prize, the two girls begin their murderous journey full of hope and quickly descend into ‘madness’ caused by their guilt. This blended the Macbeth story and modern concerns well. Some characters, naturally, were more appealing than others but it revealed the characters and also encouraged some thoughts about the concerns raised in the contemporary setting. I admit to watching ‘Shaun of the Dead’, ’28 Days Later’ and even laughing at the zombie street pimps scene in ‘Hollywood Shuffle’, but I would never call myself a fan of the zombie movie/novel. 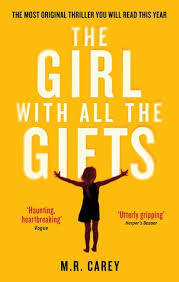 A reading challenge I was involved in this month meant ‘The Girl With All The Gifts’ was one of my first reads…and I was uncertain what I’d make of it. We’re told that in the future a strange fungus has changed virtually everyone into a thoughtless, flesh-eating monster. Known as ‘hungries’ these monsters are pretty efficient killers – once they’ve picked up a scent. However, there are some who do not appear to be quite the same as the others. Our story begins with a truly awful opening, showing us our main character Melanie being strapped into her chair and taken to a classroom where she is taught along with a small group of other children. The purpose of their lessons is simply to monitor the extent to which they can retain information and to allow the scientists working with them to try and find a cure to save humanity. Watching events through Melanie’s eyes is upsetting. They are treated with little humanity and this is hard to take – until we get a stark reminder of what happens to these children when they get a whiff of human flesh. While this is all well and good, a whole book focused on a dead child – albeit one with a genius IQ – would not be entertaining. So, alongside Melanie we have a cast of very different adults who become central to Melanie’s existence. I loved the way we slowly get to know more of the background to these characters as the story progresses. Dr Caldwell was, in my mind, a real monster – but deliberately so as she juxtaposes the more nurturing and caring character of Melanie’s teacher Miss Justineau. I came to really admire this disparate group as they take amazing risks in order to try and help one another. Unexpectedly thought-provoking (though I will always be tempted to skip the more graphic descriptions of flesh-eating) and I’m not surprised this has been turned into a movie. I would have liked to know more about the background to the virus, and am definitely going to look at the second book by Carey – ‘The Boy on the Bridge’ – which is set about a decade prior to the events of this novel. 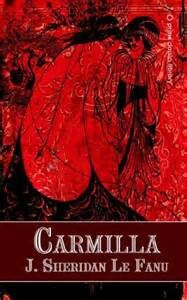 ‘Carmilla’ is a short, yet strangely satisfying, novella that serves as a precursor to Gothic favourite ‘Dracula’. In Le Fanu’s story we see the seduction of Laura, the young Englishwoman who lives in a remote scholss in Austria, by Carmilla. 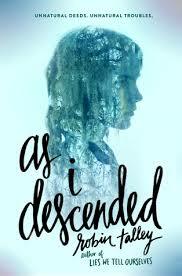 This strange young woman appears – seemingly out of nowhere – and is taken in by Laura’s father. Carmilla is not what she seems, and Laura is convinced she met her many years ago in a dream. Cue what have become vampiric favourites: the night-time visit; the bite; the yearning for a forbidden love; the wasting away and the sense of repressed sexuality. While the style is rather melodramatic now, I was intrigued by Le Fanu’s attempt to explore distinctly antisocial feelings for the time in which he was writing. While I understand why he didn’t focus on the relationship between Carmilla and Laura, there was a part of me that wanted to know how that relationship would resolve itself. 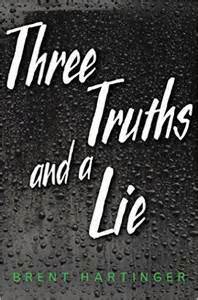 The premise behind ‘Three Truths and a Lie’ is fairly straightforward – four teenagers head off to a cabin in the woods where they play a game, get spooked by things outside and then end up in serious trouble. Not all make it back alive. 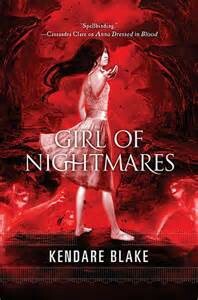 In spite of the links with so many teen horror movies, I have to say I found myself gripped by this novel. When we first meet Rob he is with his boyfriend, Liam, Liam’s best friend, Mia, and her boyfriend, Galen. They are desperate to do something a little different – something fun – and when Mia suggests a visit to her family’s woodland cabin it seems like the perfect suggestion. The dynamics between the group are intriguing, and there is a very real sense of Rob’s detachment from the group. From the moment the group arrive in the cabin it seems that someone is out to cause trouble. The question is, who? Strange things happen, with no obvious explanation, and the way Hartinger describes this experience completely plays on the reader’s fears. On occasion the writing becomes a little more graphic than I really wanted, but I found myself finding it increasingly hard to tear myself away from this as I was desperate to find out just what was going on. There are clues to the ending, though I think I’d benefit from re-reading the novel to see which of these clues I missed first time around. There’s nothing like returning to a classic to remind me why I love reading, and how lucky I feel to be part of a literary heritage that covers such a wide range of narratives. I find it hard to believe that there is anyone who does not know the basic outline of this story. The concept of scientific advancement and the horrors of behaviour outside the social norms were topical ideas at the time Stevenson wrote this, and the conflict between personal desire and social convention remains relevant today. 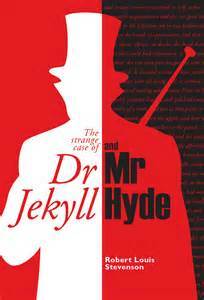 Re-reading The Curious Case, I was struck by the fact that Mr Utterson – as the epitome of a Victorian gentleman – narrates these events in an attempt to make the supernatural elements of the story more palatable to readers of the time. While the conventions of Gothic horror tend to make me laugh now rather than feel the fear that would have been experienced by Stevenson’s contemporaries, I can still admire the construct of this novella. A deliciously dark story. I’d really enjoyed ‘Anna Dressed in Blood’ and was keen to see how Blake moved things on in the sequel. Desperate to find out what happened to Anna, I have to say I felt a bit disappointed by this. Though it’s been months since Anna made the decision to support Cas in the way she did, he remains unable to forget the love of his life. I felt the opening part of the novel focused on Cas mooning around, not really doing very much. In spite of the fact that Cas’s best friends, Thomas and Carmel, have joined him, his inability to forget Anna is causing problems. At this point we are introduced to The Order, a shadowy group with their own agenda, who offer to help track the Obeahman and help Cas work out what is going on. There were some great scenes within the book – the Suicide Forest was genuinely creepy, and the scene between Anna and Cas after the fight was touching – but, on the whole, this was not as good as I’d hoped it would be. For too much of the time my attention was wandering and that’s never a great recommendation. Some time after the events of ‘Mayhem’ we return to London. Many of the characters we met in that novel return, and we can see the impact of those events on their lives. Following the loss of her husband Juliana has become an over-protective mother to her young son James. She is a husk of her former self, but she remains friends with Dr Bond – unaware of the role he played in James’s death. The three men involved in that evening have kept quiet about their involvement, and Dr Bond even dares to hope that he might one day marry Juliana. Initially, everything seems rather dull. Everyone is going about their business and nothing particularly out of the ordinary happens (which, in light of what was happening at the time, is no bad thing). Then the battered body of a woman is found in a train carriage and it gets Bond thinking about the events of previous years. In this novel we are introduced to Edward Kane, an old friend of James, and he asks Bond to look into some letters that James sent. In these letters, James talks of the Upir and the awful things it made him do. Bond appeases Kane’s curiosity with plausible explanations for these comments – but the information included within the letters’ pages opens up new questions for Bond. Suddenly we are plunged into a horrific tale- where Bond learns of the extent to which those closest to him were caught up in the impact of the Upir’s existence. Unable to let this go, Bond continues to seek answers to his questions – with devastating consequences. This novel was more focused on the personal decline of Bond, and it had less interest in some ways. 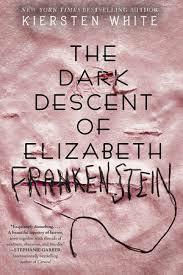 There were minor irritations because of poor editing, but the story was a fascinating example of horror.